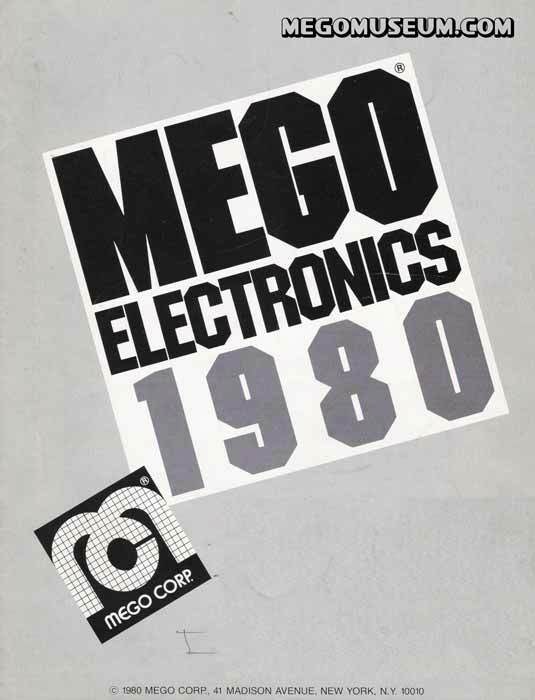 The 1980 Mego Electronics Catalog is a rarely seen item and shows the new direction Mego was attempting to take. .
Like many companies at the time, Mego was attempting to captilize on the burgeoning handheld game market. Unfortunately because so many other companies were doing the same thing, it created an oversaturation and an "Implosion" that felled many companies due the high cost of creating such items. To quote Mego President Martin Abrams in a letter to shareholders in July of 1981, "An overproliferation of electronic merchandise by the entire industry, and a slowdown in consumer demand, caused retailers to enter the year with excessive inventories. As a result, the retailers sharply curtailed their purchasing during the year, which resulted in our inability to reach, what we considered to be, a very conservative sales forecast." What's truly sad about is that Mego Electronics had some very innovative product such as Game and Watch line, the popular 2-XL or ideas such as integrating electronics in the Pocket Superheroes line. Mego attempted to enter the RC market with the Dune Machine and they even tried to break into handhelds with Pulsonic baseball and the highly touted Fabulous Fred.